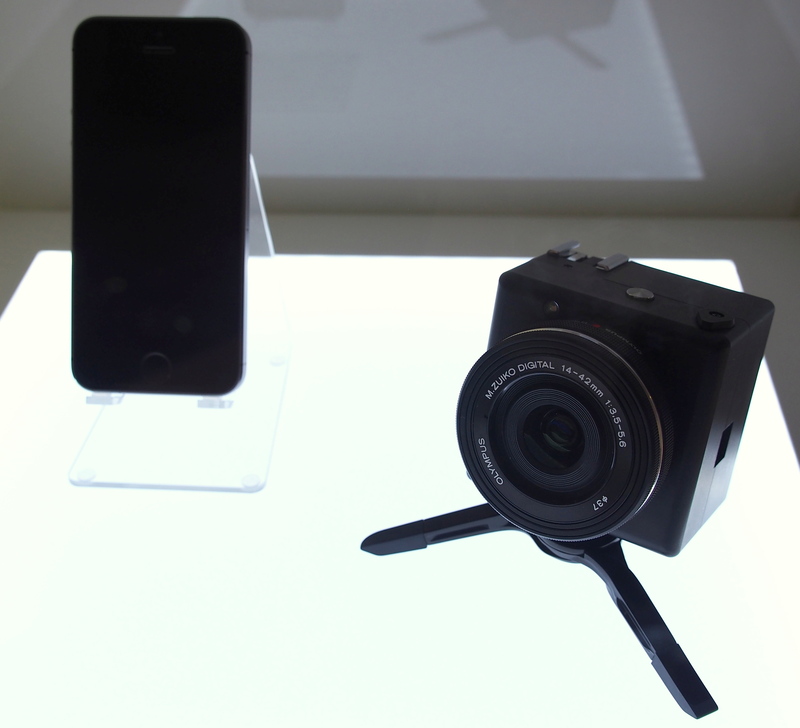 Olympus are showing a new prototype interchangeable lens camera module designed to connect to smartphones and tablets. 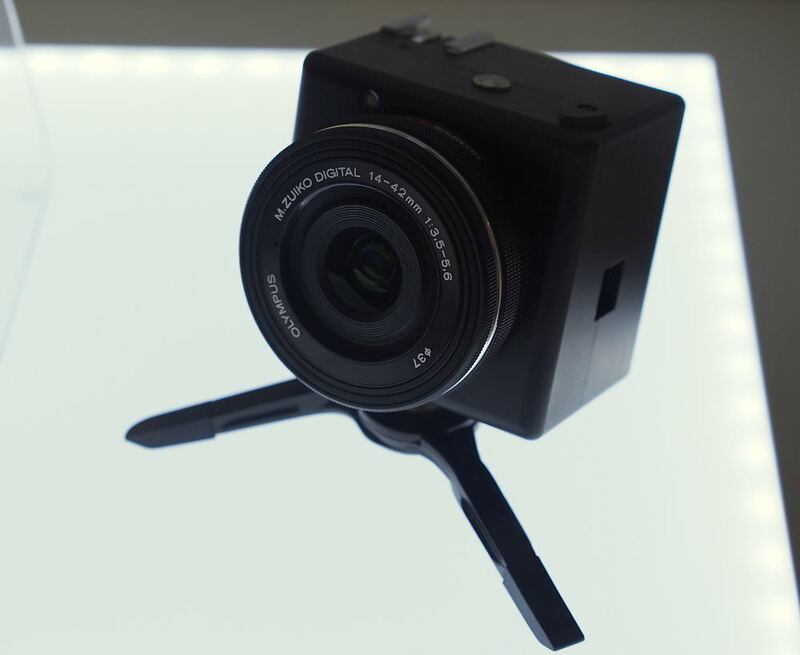 Olympus are showing a new prototype interchangeable lens camera module, using the Micro Four Thirds lens mount and developed with MIT, it is designed to connect to smartphones and tablets. 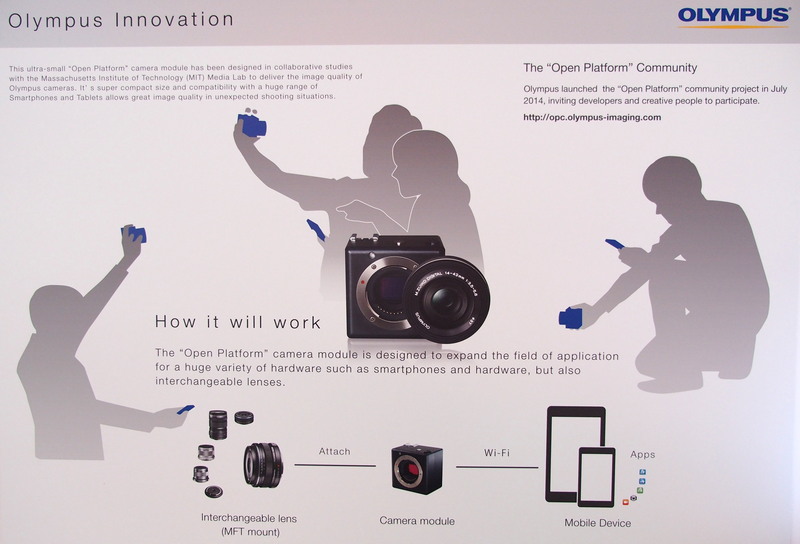 Called the "Open Platform" the camera module is designed to deliver the image quality of Olympus cameras, and connects to smartphones and tablets over Wi-Fi. Shown with a flash hot-shoe on top, the boxy design means that the camera would not be particularly pocketable in it's current design.